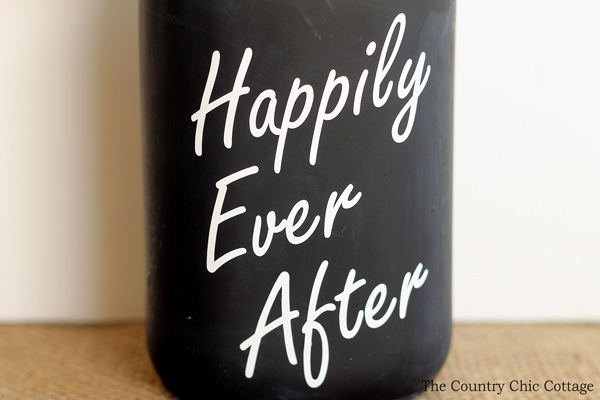 This chalkboard mason jar vase is so easy and perfect for weddings. Trust me when I say you can make this fun vase in minutes. This is a part of mason jar wedding week! If you have missed any of the posts check out day 1 and day 2. You will also want to be sure to scroll to the bottom of this post for more fun mason jar wedding ideas from our blog partners for this series. Some of these links may be affiliate links which means a portion of your purchase will go to support this site. You can see all of the details on how to make this chalkboard mason jar vase in the video below! Cut the white vinyl with your electronic craft cutter into the words of your choice. A monogram would also be fun! Remove the excess vinyl surrounding the words as well as the insides of the letters (like the “O”). TIP: Using a hook makes this super easy. You can use transfer tape (as shown in video) to apply vinyl to the jar. The transfer tape is optional but makes the process a bit easier. That is it! 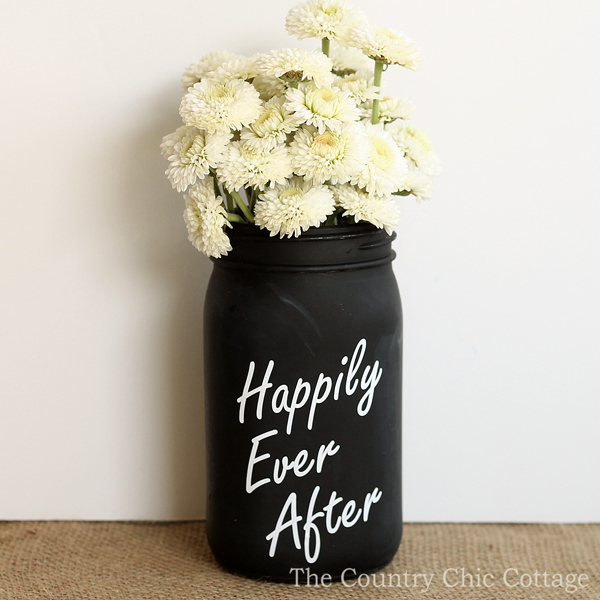 Enjoy your chalkboard mason jar vase and show it off at your wedding! Yes you can definitely just write on the vase with chalk instead. I found that my hand writing was so horrible that it looked like a kindergartner was decorating the jar. If you are in the same boat as me, give this technique a try! It will give you professional results in minutes! 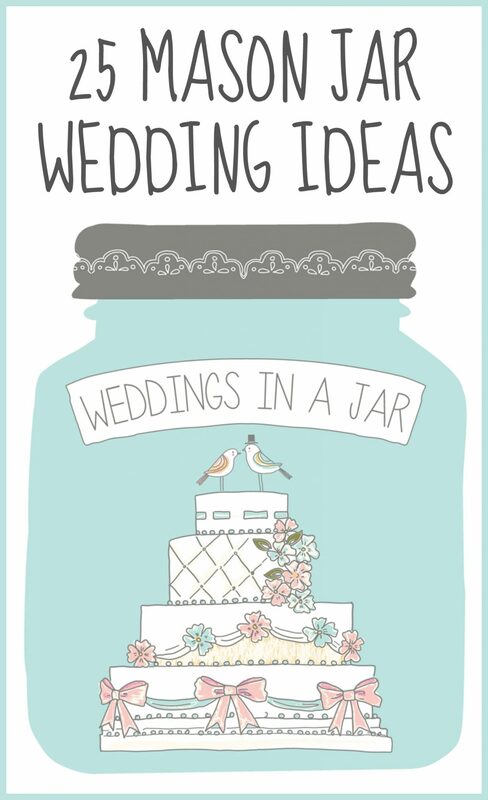 If you love this idea, you will love what my blog partners for mason jar wedding week have in store for you! 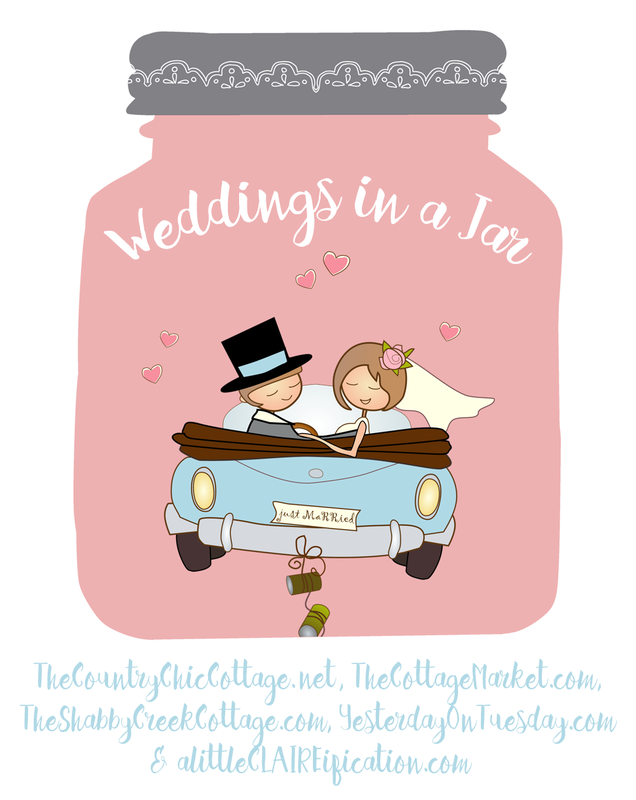 Click around to each blog to see the mason jar wedding ideas. Love this and looking for more wedding ideas using mason jars? Click here for even more mason jar wedding ideas from our series last year. Want even more jar ideas? 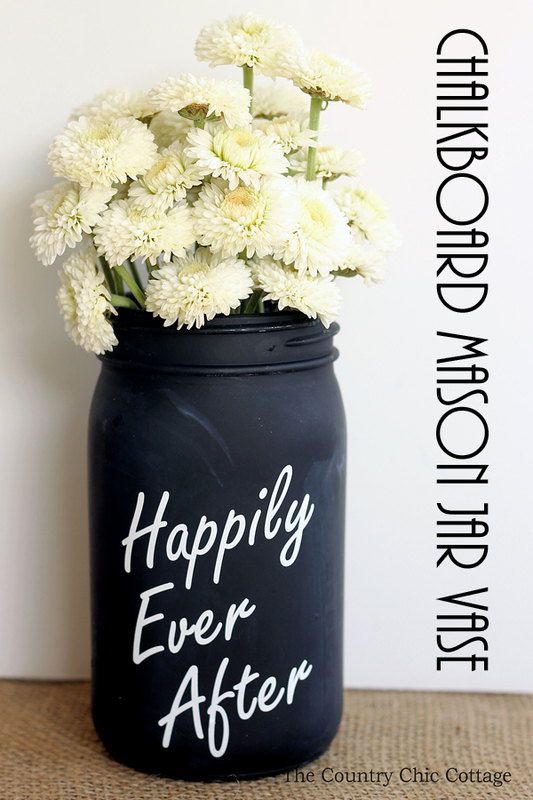 Can’t stop with just a chalkboard mason jar vase? You can also shop for mason jar wedding supplies at Amazon by clicking on the links below. These are affiliate links which means a portion of your purchase will go to support this site. Angie, I’m pinning this super cute project! I’m like you, I’d have to use the vinyl because of my handwriting!